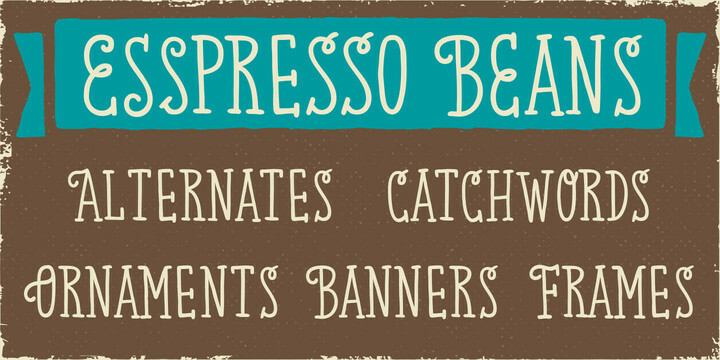 Espresso Beans is an handwritten typeface published by Indie Type that comes in two versions, three weights, alternate letters and some extra (alternates, catchword, frames, banners & flourishes). This delicious typeface it goes well for headline, magazine, book cover, poster, website etc. A font description published on Monday, January 12th, 2015 in Fonts, Indie Type by Alexandra that has 3,950 views.